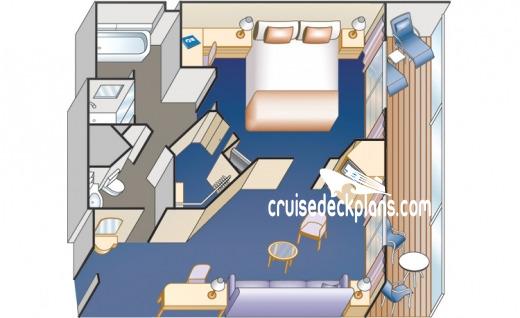 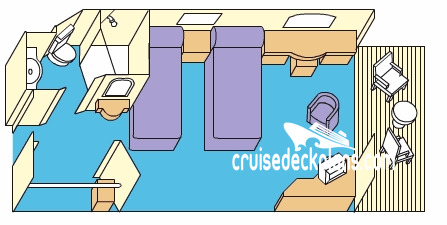 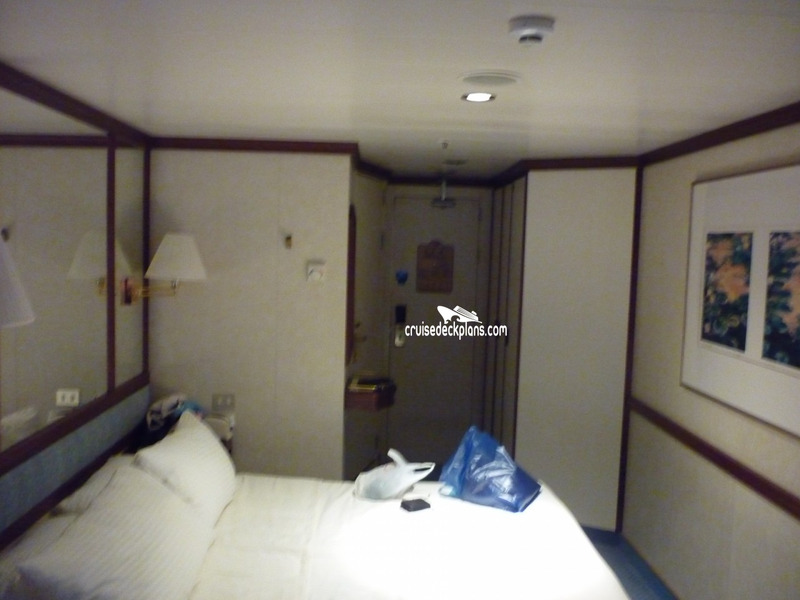 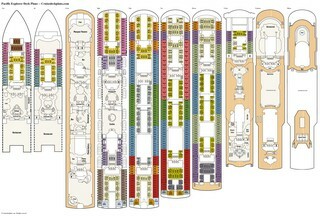 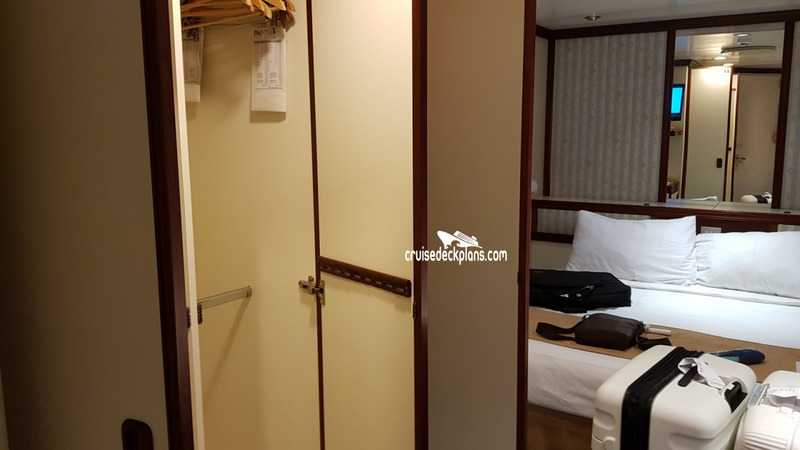 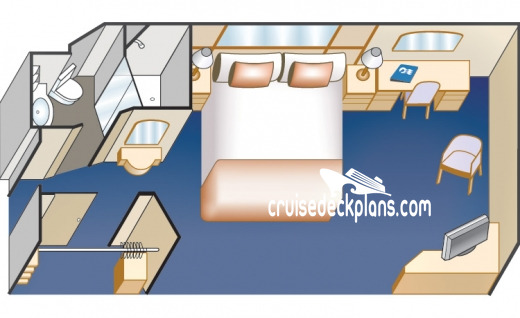 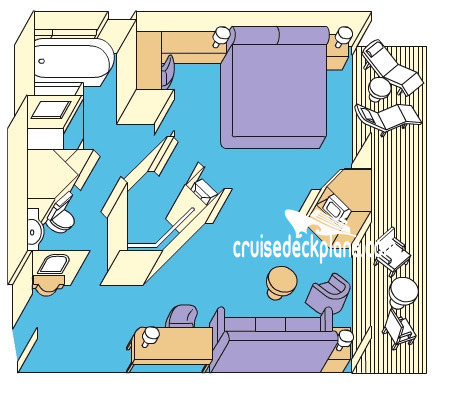 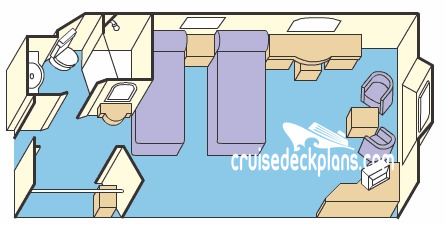 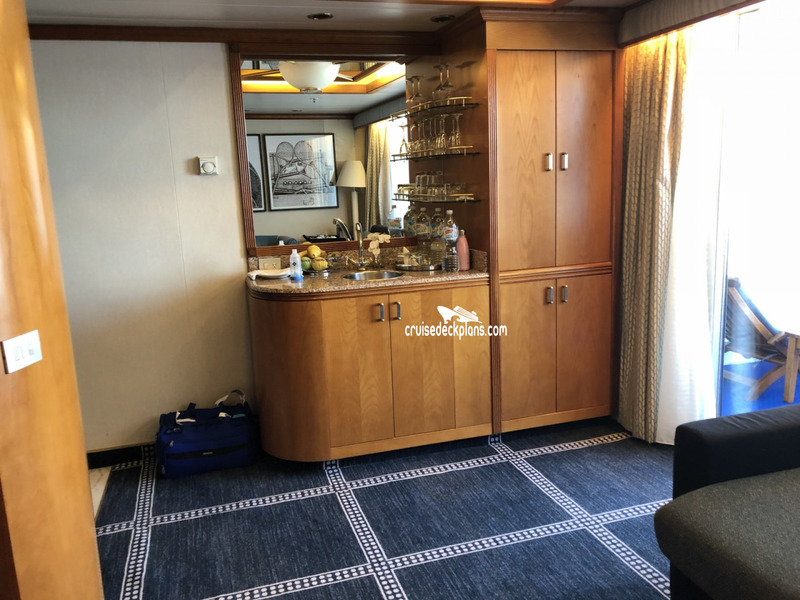 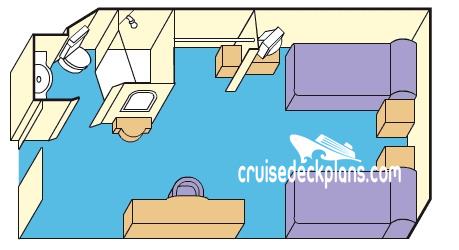 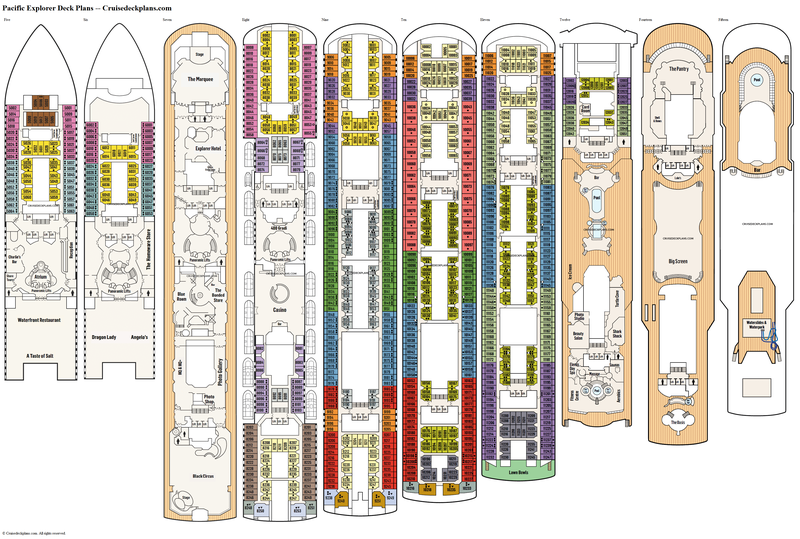 Category SA on deck 9 is 376 square feet plus 160 square foot balcony. 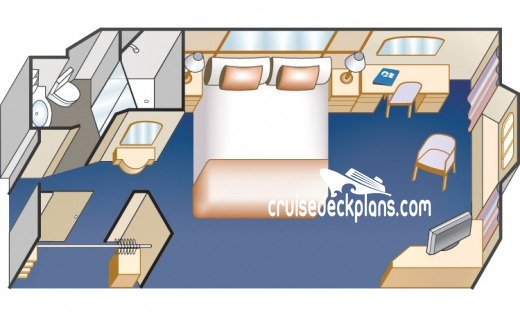 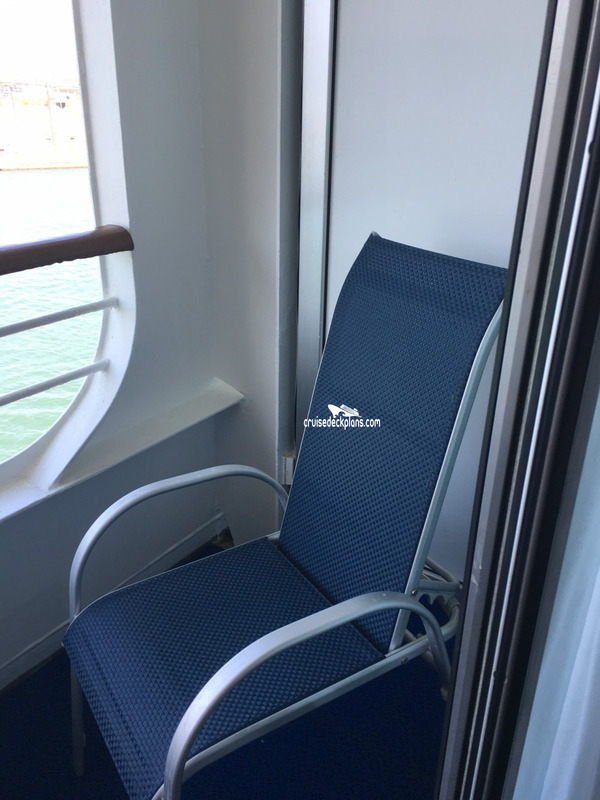 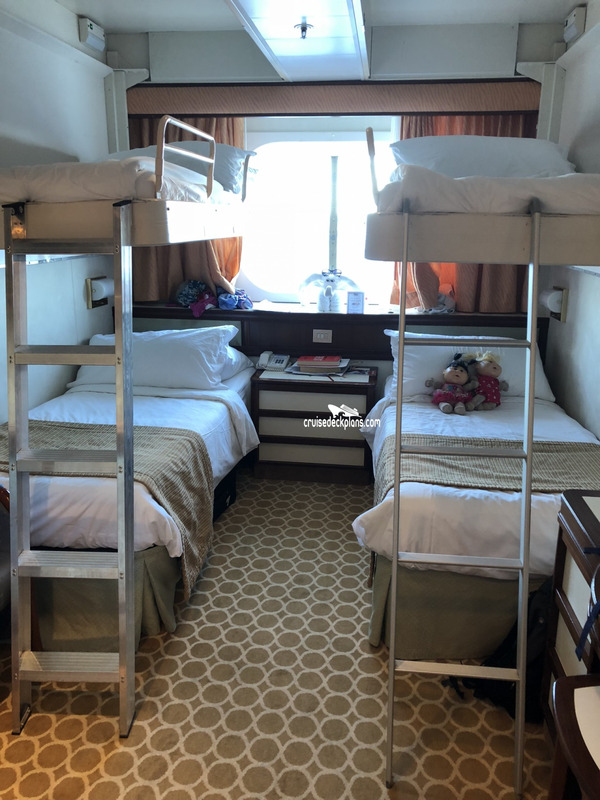 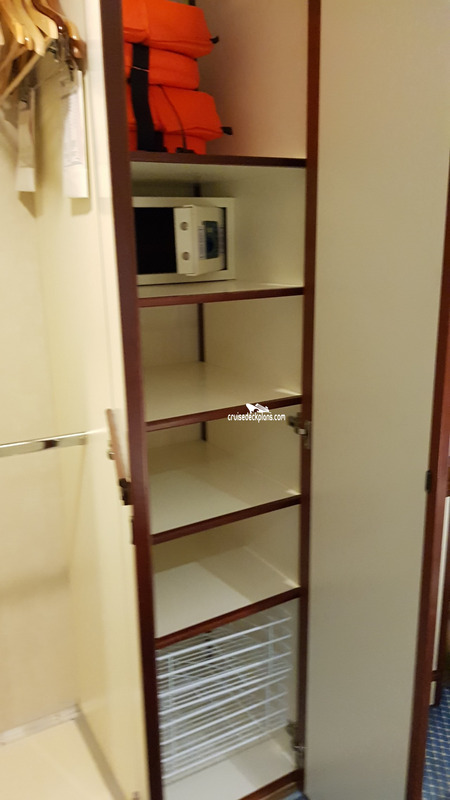 Category SA on deck 8 is 431 square feet plus 85 square foot balcony. 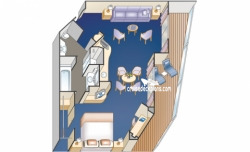 - Private bath with combined tub and massage shower head. 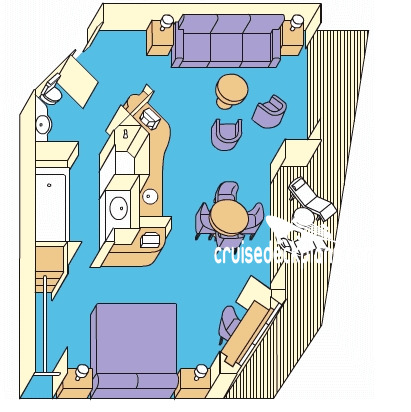 Category M4 ranges from 275 to 335 square feet plus 78 to 90 square foot balcony. 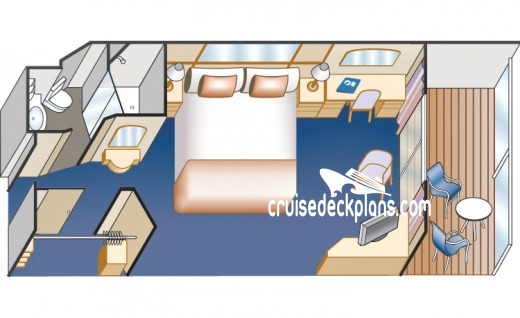 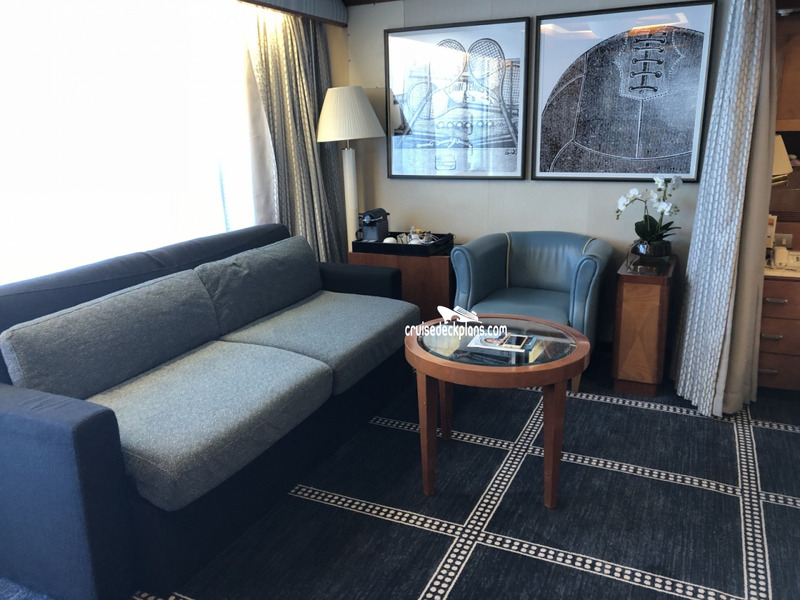 All other Mini-Suites are 370 square feet plus 52 square foot balcony. 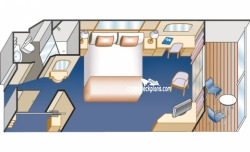 Amenities include a welcome glass of champagne, luxury mattress and pillows. - Category O5 has a large sloping window. Cabin size ranges from 147 to 155 square feet. 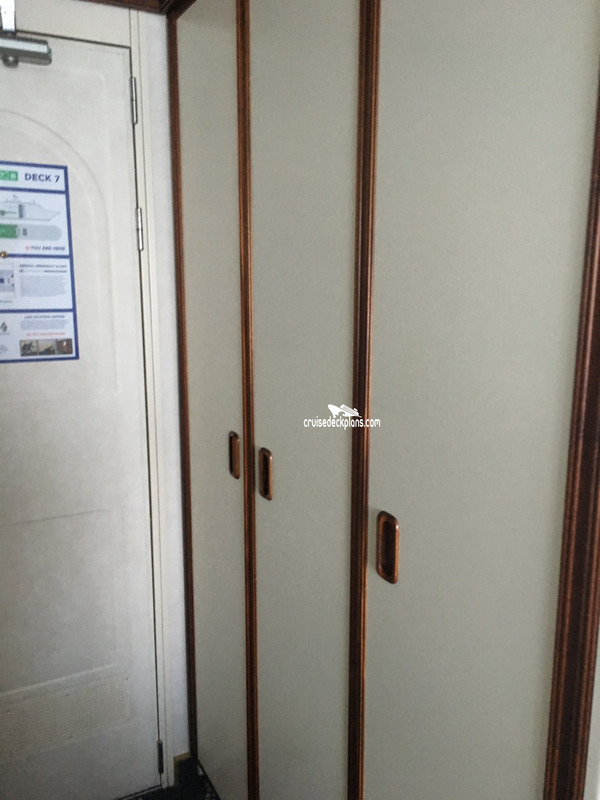 Handicap cabin size is 226 square feet with 33" door. 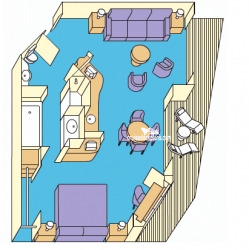 Category CC, C and DD are 183 square feet. Cabin size ranges from 147 to 155 square feet.